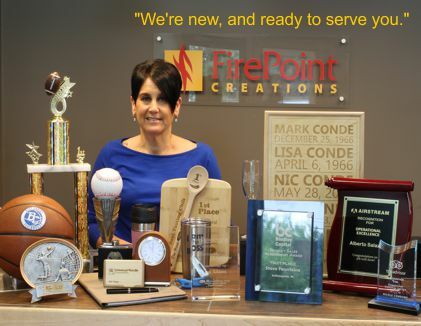 FirePoint Creations covers all your engraving needs including sports trophies, corporate awards, and recognition plaques. 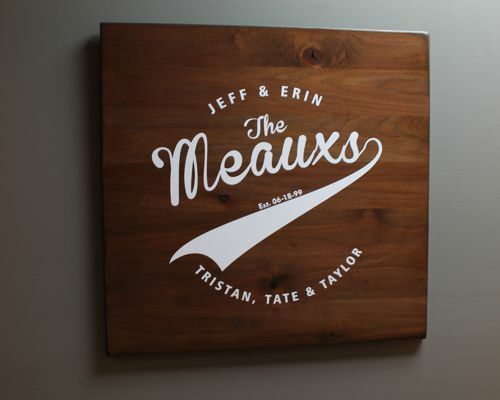 Plus, our line of signs & home plaques provide you with product choices not found in traditional retail stores. Whether you need 50 awards or 1 address sign, we can meet your expectations. Our true specialty continues to be personalized gifts. This is where the entire business started back in 2011. 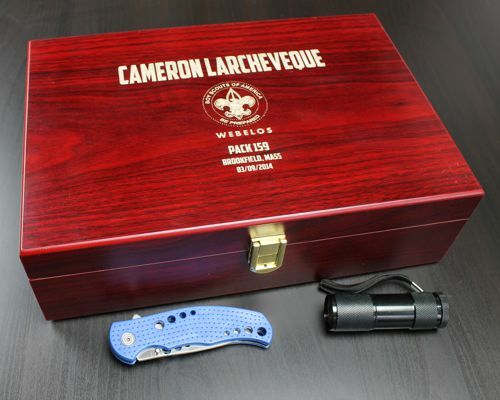 We feature an amazing selection of hard-to-find personalized gifts that includes: Arrow of Light plaques for Boy Scouts, Engraved wedding champagne flutes, Ceremonial tomahawks for the military personnel, Custom engraved firefighter and police officer dog tags and Personalized BBQ grill tool sets. 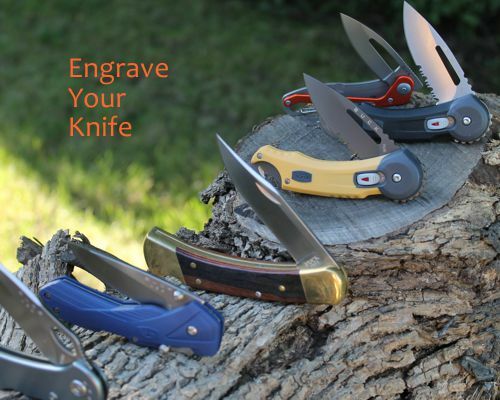 Our newest category - Engraved Knives - provides a full assortment of cutting tools including the ever-popular Buck brand of knives to a value-line of knives. Most notably, the engraved tomahawk line has become a customer favorite. Getting an engraved trophy, award or personalized gift is easy. You can order online right here or if you are local to central Indiana, stop into our shop located in Noblesville, IN. We conveniently serve those in the Fishers, Carmel, Westfield, Noblesville and Indianapolis areas. Turn-around times are fast. We can usually complete your custom engraving project in 2-5 days. We look forward to serving you soon here at FirePoint Creations.